Hello!! Long time no see! You wouldn't believe it if I told you I feel like I am just now REALLY getting my mojo back after the loss of my mom and brother. It has taken time, and it will probably take more but, it is what is best for me, and makes me happy. Thank you for your undying patience, kindness and compassion during this time for me. Breakfast for dinner! Truth be told, breakfast is my favorite meal of the day. Mostly because I love eggs. I mean, I REALLY love eggs. 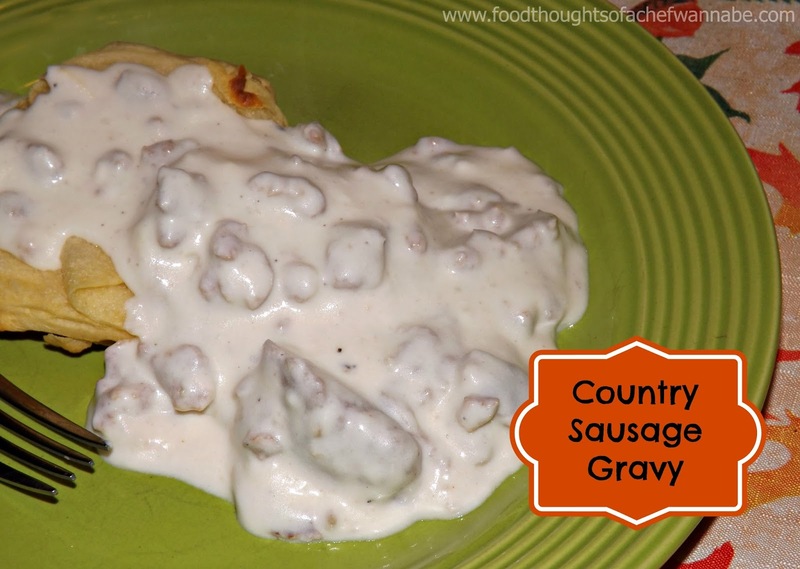 My husband and I were grocery shopping and I found a good sale on some breakfast sausage and he instantly said, "OHHHHHH please make sausage gravy and biscuits". Well what kind of wife would I be if I didn't make it for him??? I make it pretty regularly, I don't know, I just kind of thought it was something everyone could make. Truth is, I think someone will be able to benefit from the recipe. I always use half and half. Milk isn't rich enough and heavy cream is just to much, half and half makes a beautiful smooth, creamy, dreamy gravy! I also add butter, because butter belongs in breakfast food! Hey! I didn't make the rules, but whoever did....God BLESS them! I made a video to go with this post. I will post here. Please hit SUBSCRIBE on my YouTube channel, I would love to have you there!! I am so ready for winter. That's all. As you can see, I served this on biscuits, but love it just over toast as well. With a side of scrambled eggs, it was our "breakfast for dinner"!